HomeResourcesEmployers Have A Short Attention Span - Will They Skip You? Employers Have A Short Attention Span - Will They Skip You? Wouldn’t it be great if the employers you’re targeting with your job search/resume submissions would read every word you’ve written and pay close attention to all of them? Realistically, that’s about as likely as presidential candidates shaking hands courteously, patting each other on the back, and exchanging friendly smiles–and meaning it! Despite the times I’ve commented on employers’ extensive hiring practice shortcomings with regard to treatment of job seekers, I should probably try to be fair to them. Yes, they often treat candidates shabbily, but…. More often than not, employers are inundated with submissions whenever they publish a job opening. Those candidates who fail to take seriously the planning and preparation necessary to conduct an effective job search will either get skipped over entirely or, at best, receive a cursory glance before being put aside. If you fall into that category, you probably won’t get the employer attention you need and want in order to land the position you’re after. Think about it. When you get a flood of offers for a product or service you’re not even sure you’re interested in, how much time do you spend looking through those offers? They need to be attention-getting and compelling if they’re going to persuade you to devote your precious time to reading them, much less considering the investment the senders want you to make. If your WIIFU (value) message doesn’t make you stand out, you’ve wasted your time–and the employer’s.This illustration concept shows the level of ROI. Return of investment is the gains compared to the cost. Just to be clear, I’m not talking about unsupported superlatives or general claims (see examples below). 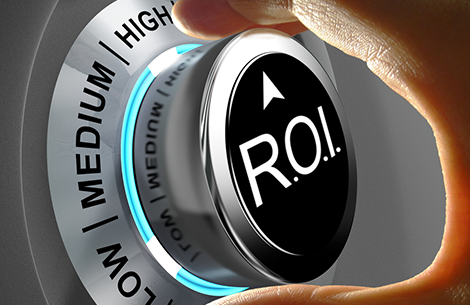 The WIIFU element needs to communicate specific value to employers that sets you apart–your ROI potential. Ideally, the value message includes quantified/measurable information, which can give you a big advantage over candidates who don’t bother to provide this critical information. And, no, using hype to get employer attention is NOT the way to go. A partial definition of the word reads “when the actual thing doesn’t turn out to be as good as expected.” Even if that gets you a phone call, it’s unlikely to result in an interview and even less likely to produce a job offer. At first glance, those phrases might sound impressive, but all of them could elicit the response: “So…?” or “So what?” That is, what exactly do those terms mean? What real benefit did you deliver to the company? For example,”increased revenue and profit” might mean that you generated $1 million in incremental revenue and increased profit by 15%. Now you’re talking employers’ language!